EnergeA is a company specialized in supporting the development of its own or third-party projects in the energy sector through the conception and integration of business opportunities. Because it keeps abreast of the latest developments and situation of the energy markets and follows up on business opportunities in the energy sector, for both the public and private sectors. Technical, economic, financial, legal, and regulatory support for energy projects in Mexico. Technologies applied to crude oil, gas, and refining solutions. Advice on foreign and Mexican corporate partnerships. Help for suppliers and service providers focused on the hydrocarbon and electricity industries in Mexico. Development of renewable energy, efficiency, and reliability projects. Support with the execution of production, logistics, and trade projects. Development of projects and strategic planning programs for regional and institutional energy projects. Multidisciplinary services for the establishment of new national and foreign companies linked to the energy sector in Mexico. Analysis of possible mergers, acquisitions, and the funding of projects. Support for the understanding and adaption to local laws and regulations. Our team is made up by a group of specialists with more than 15 years of experience in the energy industry, who anticipated the in-depth restructuring of the sector. EnergeA was founded by combining the experience brought by StructurA with the expertise of the industry experts to increase the group’s analytical and execution capabilities. EnergeA Power Advisory Services (EpaS) brings together electricity industry experts from Mexico and the United States, who are members of renowned companies such as Longwood Energy Group, Tabors Caramanis Rudkevich, Vector Consultants, and EnergeA, to provide strategic and financial consulting services for the new Mexican electricity market. 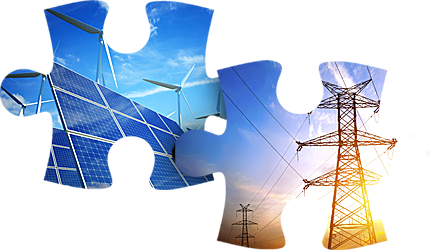 EpaS has extensive experience in operational and strategic aspects related to electricity markets. Its team members have worked as advisors to governments, companies, and investors in electricity markets in the United States and Mexico. EpaS covers all relevant aspects of the electricity sector, including the electricity market economy and its operations, generation, and transmission, as well as regulatory policy.